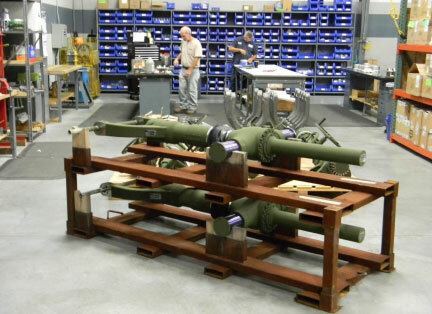 Wegmann USA manufactures the traverse drive and elevation drive gearboxes, as well as 8 other related Howitzer components used on the US Army/USMC M777 Light Weight Howitzer. Wegmann USA produced more than 1500 of these systems in full rate production. Wegmann also delivered the Pre-Production and LRIP components to the program’s prime contractor and the company presently continues the production and delivery of components for spares support contracts. Wegmann began working on the M777 program in the pre-production stage where we demonstrated an ability to work with a customer to improve his product by suggesting design and manufacturing changes that enhanced producibility, reliability, and performance.